(Geneseo, IL) ArmaLite Inc. proudly introduces the new AR-31. The AR-31 shares the design and the accuracy of our highly acclaimed AR-30A1 bolt-action rifles, but with three MAJOR differences: the AR-31 is chambered in .308 Winchester, it is a short action version of the AR-30A1, and it accepts Armalite’s AR-10B double-stack magazines. That means you can use 5, 10, 15, 20 and 25 round mags with the AR-31. For your sub-MOA accuracy needs, think ArmaLite’s AR-31! About ArmaLite: ArmaLite has one of the broadest product lines in the firearms industry. We manufacture and sell semiautomatic rifles in a variety of calibers including 5.56mm and 7.62mm, long range super-accurate bolt action rifles in calibers including .308 Winchester, .300 Winchester Magnum, .338 Lapua, .416 Barrett and .50 BMG. 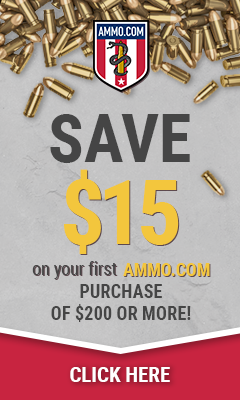 Visit ArmaLite at www.armalite.com. Republic, MO (November 25, 2013) – CrossBreed Holsters today announced the introduction of the company’s latest versatile modular holster made for use in purse, handbag or briefcase for concealed carry. The new Purse Defender is designed to fit most small to medium sized handguns in your favorite purse, handbag or briefcase securely and safely. Purses and handbags are a matter of style and concealed carry is a matter of safety and security. With the new CrossBreed Purse Defender, neither style nor safety needs to be compromised, giving those who concealed carry the freedom from expensive and ugly concealed carry purses or bags. The Purse Defender is designed and built on a Velcro lined Kydex panel that fits easily and securely with the added feature of keeping the gun and the purse stabilized. Combined with CrossBreed’s classic handcrafted modular holster, the firearm is easy to access, safe, secure and in the same spot in your bag or purse. The Purse Defender system is available for either right or left hand and comes complete with the L-shaped Kydex panel, CrossBreed’s handcrafted modular holster and additional Velcro for outside of the purse or bag options. Pricing for the Purse Defender is at an affordable $52.95 with matching mag carrier $32.95. Extra custom fit Velcro pieces are only $7.50. Owners of the Purse Defender have the added confidence of a “Two Week, Try it Free Guarantee” and a lifetime warranty to go along with CrossBreed Holsters’ legendary handcrafted quality. CrossBreed Holsters, LLC was started in 2005 by Mark Craighead to bring all of the best holster features together in one product without any of the non-functional design elements found in many holsters on the market. Mark’s new breed of all-American holsters has grown into a company strong with integrity, craftsmanship and customer service. The Model 1911 pistol is an American icon. Since its wide use in World War I, the M1911 pistol has become one of the most popular pistols of the last century – being made by almost every American firearm manufacturer. Winchester® Ammunition has now released The Win1911™ line as a functional ammunition line to accompany the M1911. The .45 ACP rounds will be available with either a flat nose full metal jacket (FMJ) or jacketed hollow point (JHP) design. The flat nose FMJ rounds are built for high accuracy and exhibit precision groups. The JHP rounds are designed to shoot to the same point of impact as their FMJ counterparts, and the ballistics are also matched in velocity and trajectory. Together, both products in the Win1911™ line are perfect for practice and personal defense. Both the FMJ and JHP designs feature nickel-plated bullet jackets for easy identification and 230 grain bullets. “The M1911 pistol is one of the most recognizable and iconic firearms on the market. We at Winchester have undertaken significant testing to maximize functioning and accuracy with these new offerings to create an ammunition line that lives up to the name of the legendary pistol,” said Brett Flaugher, Winchester Ammunition vice president of sales, marketing and strategy. For more information about Winchester® Ammunition, visit www.winchester.com, or connect with The American Legend™ on Facebook at Facebook.com/WinchesterOfficial. Pleasant Hills, OR (July 28, 2013) – Tannerite® Sports, LLC is proud to announce that its reissue patent has been approved by the United States Patent and Trademark Office. The reissue patent provides a much broader scope of coverage and protection of their intellectual property. The reissue patent was published on July 23, 2013. West Hartford, Conn. – Colt Defense LLC, one of the world’s leading manufacturers of rifles and carbines for the military, law enforcement and sporting markets, has acquired New Colt Holding Corp., the parent company of Colt’s Manufacturing Company LLC, one of the world’s leading manufacturers of firearms for the civilian and sporting markets. For the first time since their separation in 2003, a single company will now develop, manufacture and sell firearms under the Colt name for all markets. About Colt: Colt is one of the world’s leading designers, developers and manufacturers of firearms. The company has supplied military, law enforcement and individual customers in the United States and throughout the world for more than 175 years. Our subsidiary, Colt Canada Corporation, is the Canadian government’s Center of Excellence for small arms and is the Canadian military’s sole supplier of the C7 rifle and C8 carbine. Colt operates its manufacturing facilities in West Hartford, Connecticut and Kitchener, Ontario. For more information on Colt and its subsidiaries, please visit www.colt.com, www.coltsmfg.com and www.coltcanada.com. WEST HARTFORD, Conn. – Colt’s Manufacturing Company LLC, one of the world’s leading designers, developers and manufacturers of firearms, has teamed up with Black Hills Ammunition to bring to market Colt-branded ammunition that is specifically tuned for Colt tactical and competition rifles. During the development process, this line of Colt ammo was ballistically tested in Colt rifles with a requirement of consistent five-shot MOA groups at 500 yards (5 shot groups of 5” or less at 500 yards). This “Triple Nickel” assures the experienced shooter incredible performance right out of the box, with no need for load development or experimentation. The initial offerings from Colt and Black Hills Ammunition will include 55 grain and 77 grain match bullets from Sierra Bullet Company, and are designed for rifles chambered for 5.56×45 NATO. The Colt-Black Hills ammo will be available through Midway USA, www.midwayusa.com or 800-243-3220. Colt’s Manufacturing Company LLC is one of the world’s leading designers, developers and manufacturers of firearms. Colt pistols, revolvers and rifles have been marketed, distributed and sold to law abiding, responsible citizens in the United States and throughout the world for 175 years. Colt operates its manufacturing facility in West Hartford, Connecticut. For more information on Colt’s Manufacturing Company LLC, please visit www.coltsmfg.com. The design includes an innovative, new A2 front sight designed by ArmaLite engineers! (Geneseo, IL) ArmaLite is proud to announce its AR-10 Law Enforcement Carbine. ArmaLite has long been known for its LE carbines chambered in .223/5.56X45mm NATO. Now comes an LE firearm with the added stopping power of the .308 cartridge. ArmaLite already manufactures well-known, dependable AR-10A2 carbines. They are based on the traditional A2 front sight, A2 upper receiver and permanent carry handle. The AR-10 LE Carbine combines an innovative A2 style front sight with the A4 flat-top upper receiver so popular for its ability to accommodate sights, scopes, lights and other LE accessories. The new A2 style front sight was designed by ArmaLite’s engineers and is manufactured from forgings here in our factory. The front sight is taller than traditional A2 front sights to account for differences in AR-15 and AR-10 receiver heights. This eliminates any issues of being able to zero your sights when a carry handle or flip up rear sight is used in combination with an A2 style front sight, on your .308 platform. The result is a spectacular Armalite .308 carbine ready for the toughest LE duty. The 16” barrel is chrome lined chrome moly. The rugged Troy Medieval muzzle brake enhances control and accuracy during rapid fire. It’s tough enough to serve as an improvised breaching device if the situation calls for it. The ERGO F93 buttstock features a fixed cheek piece for a constant and repeatable cheek weld in any of the eight available stock positions. Once the buttstock is locked into position, the F93 is as rigid as a fixed stock. With a completely adjustable 4” length of pull, this stock gives the shooter plenty of room for fine-tuning the stock to their liking. ABOUT ARMALITE: ArmaLite has one of the broadest product lines in the firearms industry. We manufacture and sell semiautomatic rifles in a variety of calibers including 5.56mm and 7.62mm, long range super-accurate bolt action rifles in calibers including .300 Winchester Magnum, .338 Lapua, .50 BMG, and classic 9mm pistols. 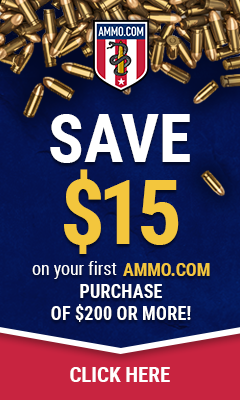 Visit ArmaLite at www.armalite.com. (LAS VEGAS) – From the FIME Group LLC comes the SGL12-09 AK style shotgun available for the first time in the US Market. This genuine Russian 12-gauge, semi-automatic shotgun is made in the legendary Izhmash Factory in Russia. Additional parts, manufactured in the US, are attached for ultimate optimization. The shotgun is imported from Russia and remanufactured by FIME Group LLC to incorporate what collectors and shooters anticipate from an authentic Russian AK style shotgun. Each comes with a 12-gauge smoothbore barrel. This semi-automatic shotgun will shoot both 2 3/4“ and 3” magnum. The SGL12-09 features a SAW-type Russian pistol grip for a larger, more comfortable ergonomic grip. The polymer RPK-style, high-quality handguard, which is made in the US, sports a rib design that allows for a better grip and quicker cool-down. The Picatinny Quad Rail System – designed for military and law enforcement — is also made in the US. It has CNC machine precision technology and is made from aircraft-grade aluminum. The rail system allows for accessory attachment including flashlights, foregrips and sights. Production is currently underway on the SGL12-09 with a significant amount ready for purchasing & shipping. The Manufacturer’s Suggested Retail Price on this shotgun is $899.00. FIME Group’s complete product line can be found online at www.fimegroup.com.